I haven't purchased any of the FTD vinyls, either. 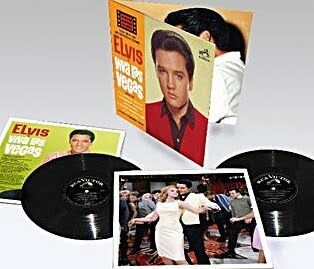 I still have my collection of Elvis records from when I first started out. I'd never part with them. I still play them every now and then for ol' times sake, but I haven't added to that collection since the majority of his music became available on CD. I can't see going back. The only exceptions I'd make would probably be from a pure collecting standpoint - purchasing vinyls that were actually produced during his lifetime. Truth-be-told, I'm not much of a "collector" in that sense, though. I tend to buy things from a more practical viewpoint - things I would actually use and enjoy rather than just sit behind a display case. That may change as I grow older. I can imagine wanting to own an original Sun record at some point, for instance. Probably won't be anytime soon, though. That's the best part about being an Elvis fan, though - there's so much out there for every taste. I do like your concept of FTD releasing single LPs of "lost" albums and the like, though. If I was going to collect FTD vinyls, that's exactly the kind of releases I'd go for. Although I have about every LP Elvis recorded, few of them are original pressings. I too, bought LP's and now CD's because of the music, although a Sun record sure would be something. Or the Aloha jukebox EP, that one I'm gonna buy someday. Thanks for your comment, Troy!